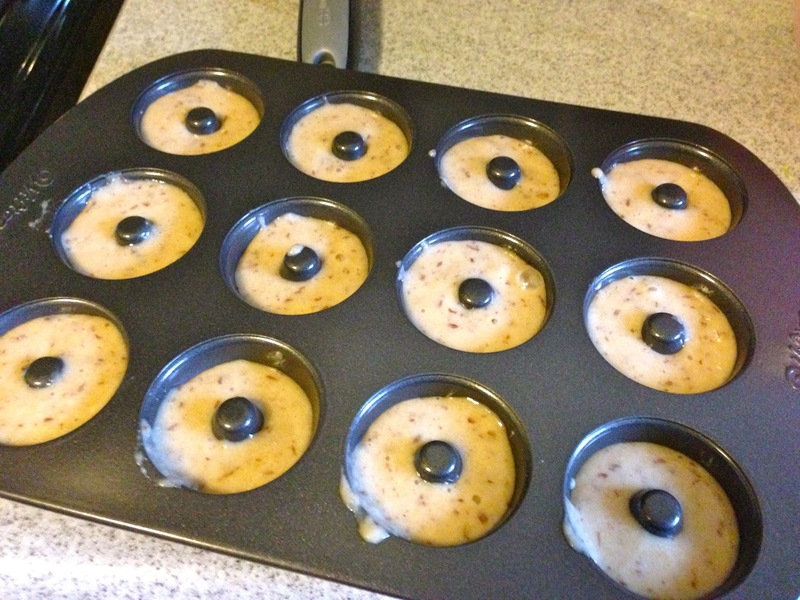 inspired by our mini donuts at sparky's, i busted out my as-yet unused mini donut pan one morning to surprise the bean with a fun breakfast. yes, i said "breakfast." mother of the year, i am. yup. anyway, after poring over a bazillion different recipes online, i finally settled on one that i chose for no good reason at all. 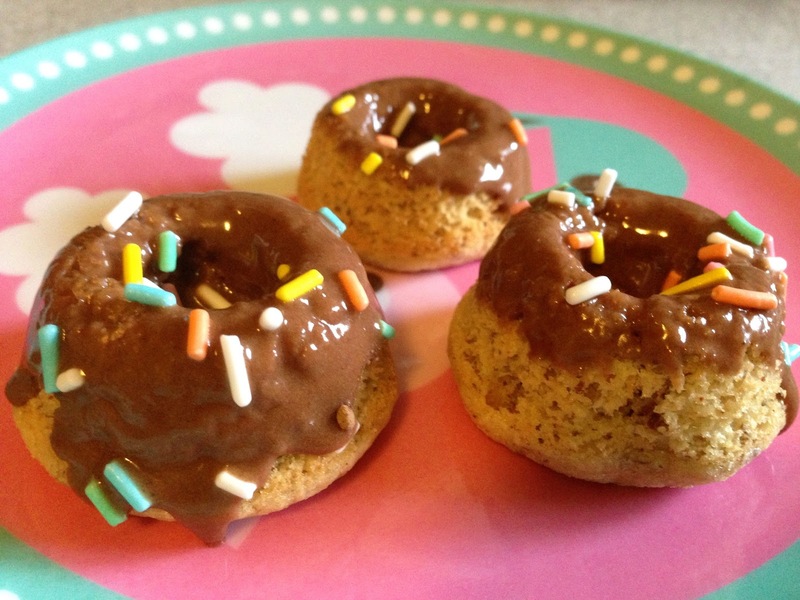 i cut it in half and then totally winged it with the ingredients in an effort to make these little treats semi-healthy. jigga-whaaaa? you're thinking. donuts shouldn't be healthy! and you're totally right. but i was in the mood to experiment, and i figured it was worth a shot. so i used whole wheat pastry flour instead of all-purpose, subbed in applesauce for the vegetable oil, tossed in some flaxseed meal, and stirred in a spoonful of pureed sweet potatoes for good measure. then while that looks like it should be a nonstick pan, it kinda...wasn't. i had to use a toothpick to loosen the edges and pry them out of there. i thought i'd read somewhere that using nonstick spray on nonstick surfaces eventually jacks up the pan, so i'd skipped that step. oh, well. live and learn. after all, i'd bought the pan on sale anyway. but they don't look bad, right? being too lazy to make a true chocolate ganache, i instead whipped up a quick glaze with some powdered sugar, cocoa powder, vanilla extract and a little milk. a few sprinkles dressed them up even more. the hub raised an eyebrow when i served that plate to the bean, but i stage-whispered the hidden healthiness of this breakfast. i'm not quite sure that he bought it, but it didn't stop him from popping a couple into his own piehole along with his coffee. his daughter enjoyed them immensely, and i felt quite vindicated. heh. and so i don't forget what i did, here's what i did. recipe adapted from this post. preheat oven to 350F. sift all the dry ingredients together, then mix in all wet ingredients. 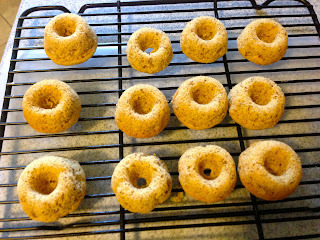 pour batter into a pastry bag (or a ziploc bag with the corner snipped off) and fill donut cavities halfway. bake for 10 minutes or until toothpick comes out clean. 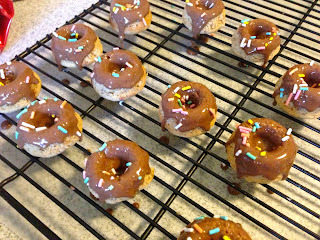 pop donuts out onto wire rack and make the glaze. combine all ingredients, adding more milk if necessary. 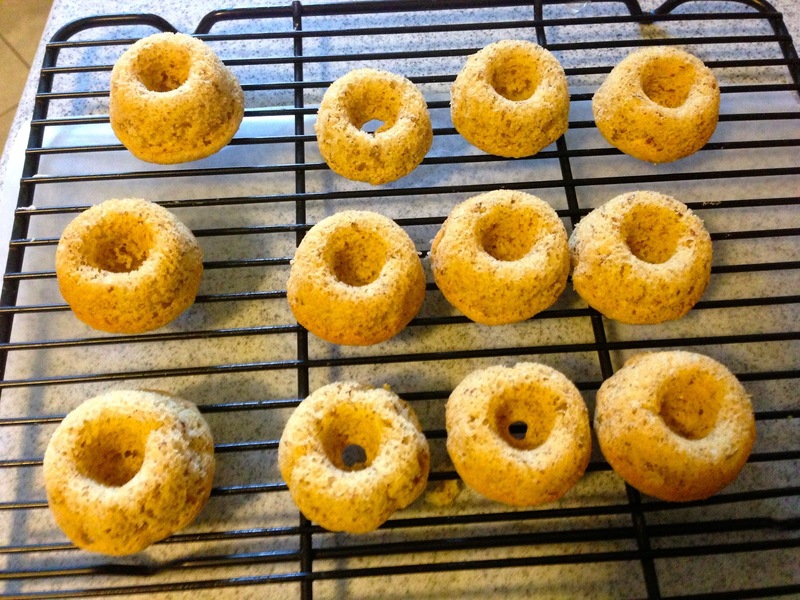 dip donuts in one by one, adding sprinkles if desired. now eat. next time i make mini donuts, i might just use all the regular ingredients without any substitutions to see if there's really much of a difference. i was also thinking of mixing up a batch of my quickie-cheater red velvet pancake batter and making donuts out of them. or maybe regular pancake batter with some chopped candied bacon mixed in, with a maple glaze and more bacon on top. mmmmmm. 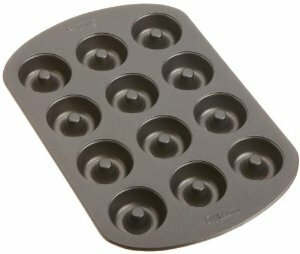 this little pan could turn out to be one of the best things in my kitchen. Supercalifragilisticexpialedoscious! You know I'm a fan of healthy cooking.